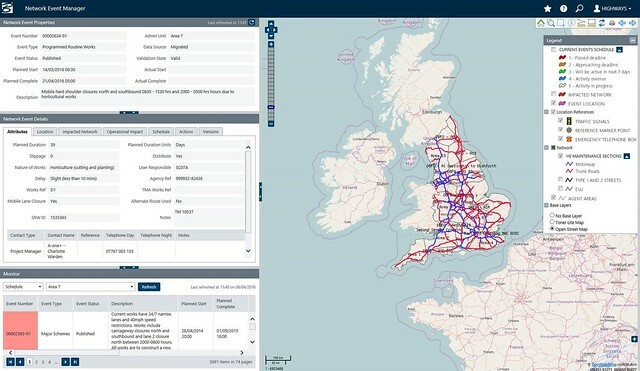 Highways England (HE) is the UK government organization charged with operating, maintaining, and improving England’s Strategic Road Network (SRN). As part of its work, HE manages lane closures across the 4,300 miles of motorways and major trunk roads that make up the network, and its license to operate requires that lane availability does not fall below 97 percent for a rolling year. Using its Network Occupancy Management System (NOMS), HE aims to reduce the number of lane closure events by 6,000 a month, with the potential to provide a cost savings of GBP 7.02 million per year. NOMS is a core element of HE’s asset lifecycle information management solution, and has two specific duties: The planning and management of road closure events. Leveraging Bentley technology, NOMS provides its distributed asset management community with the ability to directly access and interrogate planned road closure events across the entire SRN. In addition to reducing road closures by 3,600 a year, HE expects NOMS to provide significant safety advantages for its workers, eliminating 14,400 hours of challenging nighttime work on the SRN. The reduction in closures is also expected to deliver a positive impact on the environment, saving an estimated 10,824 tons of carbon per year. NOMS allows HE to share road closure event data with local authorities across the UK, and the traveling public, as well as manage road closure events requests from third parties. 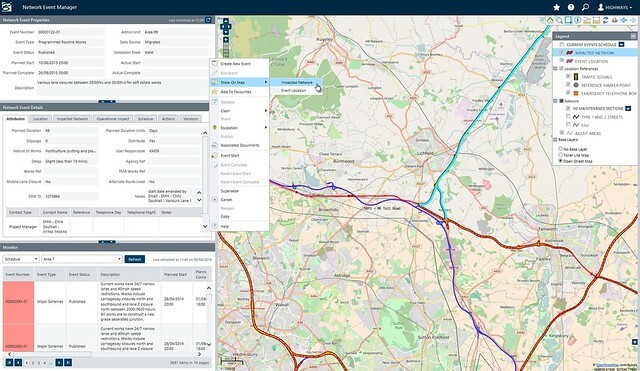 Its direct integration with Bentley’s asset lifecycle information management solution allows the scheduling of operational, maintenance, and scheme activities, and provides, for the first time, all HE’s asset managers with the ability to visualize every planned road closure on a map. Highways England Asset Information Group Leader.